Save the date for the second BDJ Box Beauty Social for 2014! Celebrate your most gorgeous self together with BDJ Box’s premium skin care, makeup and hair care brands! 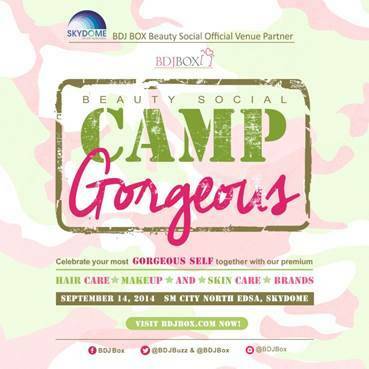 BDJ Box Beauty Social will happen at the Skydome at SM North EDSA on September 14, 2014. 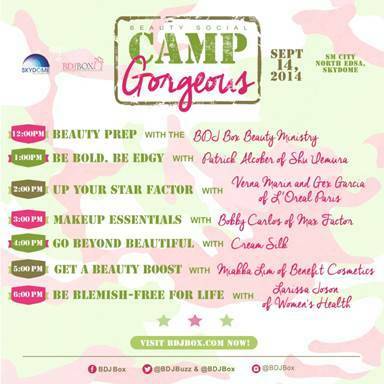 Time to enter Camp Gorgeous! See you at the BDJ Box Beauty Social!